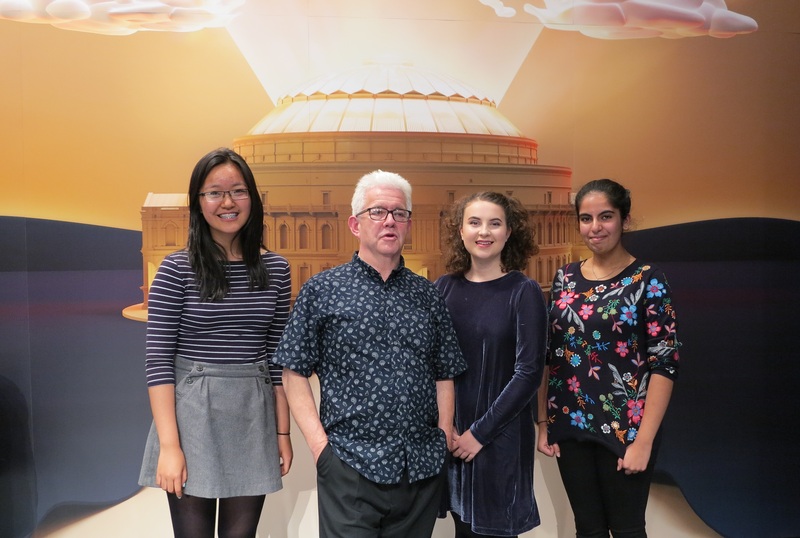 We are delighted to announce the winners of the BBC Proms Poetry Competition 2017. Run by the BBC Proms in association with The Poetry Society, the competition asks entrants to submit a poem about a piece of music in that year’s Proms season. There are two categories: 12-18 years old, and 19+. The winners were invited to the BBC Radio 3 Proms Extra show, where judges Jacob Polley (TS Eliot prize winner), Ian McMillan, and Judith Palmer (Director of The Poetry Society) announced the winners. Their poems were performed by actress Imogen Stubbs, with a Q&A with the two overall winners. You can listen for yourself on BBC iPlayer before the show disappears, and do keep an ear out for Emily describing how entering the Foyle Young Poets of the Year Award changed her life. I caught up with the young winners, and asked them how they addressed writing about music. Cia: I don’t know anything about music – I thought you had to be spiritually connected to a piece of music to write about it, but that’s not the case. I found it hard actually writing to the music, so I listened to Scheherazade over and over, until I really knew it, and then I wrote. Emily: I just wrote down what the piece made me think of as I was listening to it. So for example, I thought Mercury sounded light and bouncy, and it’s close to the sun, so those details make their way into my poem. Annie: Like Cia, I’m not musical at all. I’m not really inspired by baroque or more classical music, so I had to find to find a piece I liked. And Harmonium reminded me of plastic, so that’s what I wrote about in the first line. You can listen to Emily talk about her poem, and hear all the winning poems on BBC iPlayer for the next 30 days. The Proms is an eight-week series of music concerts and other events, held mainly at the Royal Albert Hall in London, which you can find out more about here. I only learnt about this yesterday when I went to and much enjoyed, last night. Ian said se could hear it all on Radio 3 Breakfast (another first as my little radio is on strike so am breaking away from endless Radio 4 and endless discussion of Brexit and Labour’s apparent antj-Semitism. When might I hear this year’s poems? I hope you enjoy the poems again!